Melanoma Monday was created by the American Academy of Dermatology (AAD) over thirty years ago. It always falls on the first Monday in May which is, fittingly, Melanoma Awareness Month. In 2017, May’s first Monday is May 1st, which is a nice way to start things off. On this day you can expect to read, see and hear a significant amount of information on skin cancer’s deadliest form over all mediums. There will be Melanoma-themed events and heightened calls for self-examinations and screenings, as well. Some dermatologists and doctors even offer free screenings on Melanoma Monday, so be sure to check within your local area. 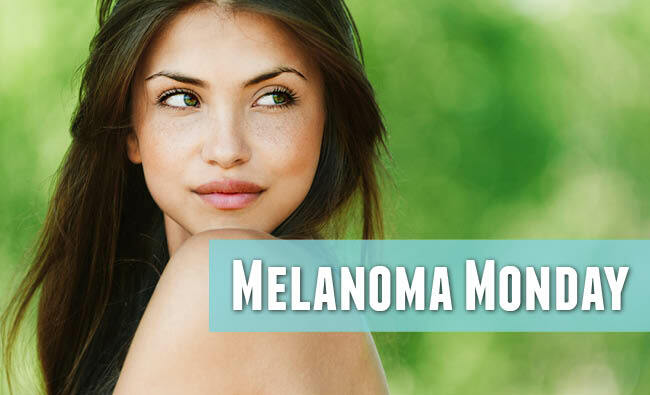 Melanoma screenings are completely non-invasive and involve no pain whatsoever. Your doctor simply looks you over, with the help of a specialized magnifying glass used to enhance any questionable moles. Every single hour of every single day, someone in the United States will die due to this awful disease. But, if caught early enough, it’s nearly 100% curable. That’s why the extra educational opportunities provided to us by Melanoma Monday and Melanoma Awareness Month are vital. Earlier we mentioned self-examinations. They should occur monthly, and be done with the assistance of a trusted friend or relative who’ll be able to see the areas that you cannot. It’s important to remember that Melanoma can develop anywhere, on any part of your body- including the inside of your mouth. Although, in both genders the most common area on which it develops is on the back. You can play your own helpful part in Melanoma Monday, too! Talk to friends, family and especially your children about the importance of wearing sunscreen and other simple, yet key, sun-safety techniques. Watch and read any reports on Melanoma that you come across. And if you see any on one or more of your social media platforms, simply share them to your friends and followers. Since Melanoma Monday fits so nicely into the 1st of the month slot this year, why not use it as a reminder to perform your skin self-examinations on the 1st of every month going forward? Make it a habit that you won’t want to break. Most well-known diseases are associated with their own signature color, and skin cancer is no exception. The color for Melanoma is black. So, if you’d like to express your support for this cause, please wear a ribbon on May 1st. If you can’t find one, just make a simple one instead. Ideally, someone will ask you about it and then they too will become more informed.